At this stage of the game it appears that not everything has been migrated to the new Office 365 Administration Console. One of the things that is missing is the Customer Lockbox configuration (which is available with the E5 plan). When you have enabled Customer Lockbox according to my article, select the orange bar across the top of the Office 365 admin center to revert back to the new Admin center preview that you started out with. I would assume that the control of Customer Lockbox will eventually make its way into the new Admin portal but for now you’ll need to go round the long way to configure it. A common question you get with any cloud service is around security and compliance. Many don’t realise that Office 365 has many advanced features built right into the product. You also get a lot more features when you start looking at enterprise plans such as E3 and up. The above video is an overview of what’s available with Office 365 Security and Compliance. It contains many of the features that I believe most people aren’t even aware of. Of course, Office 365 security and compliance features and abilities continue to improve but hopefully this tutorial will give you a better concept of exactly what is available with the product. With the roll out of Skype for Business Cloud PBX and PSTN conferencing I’m still amazed at how many people who actually have Skype for Business and never use it! I have just uploaded a video I have had on file for a while that gives you an overview of Skype for Business. It’ll give you all the basics plus an idea of what is coming (now closer than ever). I use Skype for Business everyday and recommend that if you have access to it already as part of your Office 365 plan that you should be exploring the ways that your business can use it also to improve communications and help you be more productive. I’ve always had a fascination for the change cyber security is bringing and how little people appreciate the challenges and dangers it provides. One of these major changes of late has been the Stuxnet program and how it now seems evident that we are at the of a new age of cyber warfare. It provides a really good in depth examination of what Stuxnet is and how it has impacted us far beyond its original mandate. which also covers a lot of the same material. Ultimately, I still firmly believe that technology will doom us all as I see more and more of our lives being placed in critical but effectively insecure systems all being tied together. This growing interdependency means a failure of one part of the system potentially leads to a catastrophic failure of the complete system. Yes, technology is amazing and yes technology can help us solve many problems, but when these solution create additional vulnerabilities is the cure worse than the cause? All I can say is make sure you have your contingencies in place and always be sceptical of technology. Trust but verify as they say. 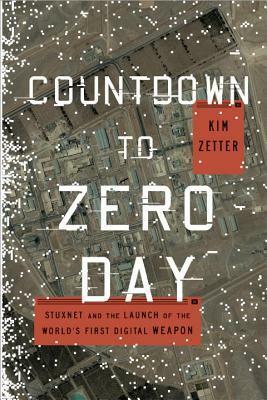 The ramifications of Stuxnet go far beyond the job it was designed to do Seeing the movie and reading the book will help you understand that Pandora’s box has now been opened. Marc and I kick off the show with a few topical news items and then I dive into an interview with Rayanne Buchianico from Sell my MSP. Rayanne and I cover off what you need to know about selling your IT business. We examine the reasons and how to go about actually doing the selling. There is more to it than you think but that doesn’t mean it’s a process you should put off. even if you currently don’t plan to sell your IT business you never know what the future might hold. The smart move is always be positioning your business for sale, that give you the maximum advantage. Getting the ball rolling with SharePoint Online is intimidating when it comes to using SharePoint Online for the very first time. Many get bogged down in being overly concerned about getting things ‘perfect’ before commencing. Here’s a few tips for you to get the ball rolling with SharePoint Online. Firstly, the primary goal for any business when it comes to SharePoint Online is adoption! That is actually getting people to use it. This is far and away going to be your biggest challenge because most users will resist the change from files, folders and drive letters. Thus, the sooner you get them using SharePoint Online the better. Also, the easier you make it for them to start using SharePoint Online the better. This means keeping it simple and familiar to start with. With this in mind, my suggestion is that you create a total of three document libraries in the root site of your default SharePoint Online Team Site. You then create three subsites below the root site than each contain three document libraries. This then gives you a total of 12 locations into which you can copy files. With this structure in mind you obviously need to name each item as it is created. Here is where you need to make an important decision about the structure of SharePoint that can’t easily be reversed once it is made, so make sure you give it ample consideration before proceeding. You need to basically decide whether SharePoint Online will be structured by function or location. If you decide by function the subsites will probably be called something like Admin, Finance, HR, etc. However, if it is by location then the subsite would be called something like Sydney, Paris, London, New York, etc. Once you have the subsites named and created you would then create the three document libraries inside each. These will typically match existing folders on a file server to make it easier for user to identify with (i.e. make the Document Library names the same as existing server folder names). It is possible to change the naming at this point and start afresh but remember, we are looking to maximise adoption which will mean taking the long way round to achieving the end goal. Sub sites and Document Libraries in SharePoint Online can easily be re-named or relocated anytime down the track. Yoru guiding aim should be to reduce the friction of adoption. So let’s say that you have decided to structure SharePoint Online by function and called the first subsite ‘Admin’. Inside this you’d probably have Document Libraries called Policies, Procedures and Templates for example. Yes, you can create more locations but again start off simple. Even if you have to leave some folders on premises, keep it simple and obvious for users. So now you have a 2 tier structure in place with 12 locations into which you can put files. These 12 locations also typically map to existing locations on your file server. With this in place I show the customer how to copy one set of files across into the first location. I then have them do the process while I watch and advise, into the second location. Finally, I allow them to copy files into the third location without any feedback from me. At that point they have the knowledge to complete the rest of the location transfers without my help. I also have the confidence to leave them to their own devices and to accomplish this initial date relocation. A few days later when I check back in with the customer, I usually find they are happily using SharePoint but want to now do more customisations, add more locations for storage, start flattening their existing folder structure by using metadata and so on. Yippee! Achievement unlocked! Initial adoption commenced success. Next? 1. Keep it really simple to start with. 2. Focus on adoption and getting EVERYONE to use SharePoint above anything else initially. 3. Base your SharePoint structure on either function or location. Using SharePoint Online is always a journey never a destination. Business needs are constantly changing, so remain flexible and be comfortable with the need to change. However, ensure you have an appropriate adoption strategy based on how your users actually operate not on how you ‘think’ they’ll operate. If you don’t, then you’ll always be wrong and SharePoint Online adoption will always be a struggle. With appropriate planning and a systematic approach, that should never be the case! In this episode we dive into the world of containers and Docker. We learn about what they are, why they are relevant to IT Pros and how Microsoft is providing more ways to utilise these technologies today. Our special guest subject matter expert is Trevor Sullivan who is a Microsoft MVP and able to explain to us why containers and Docker are so important in today’s technology landscape. Listen and learn. Few people I know who use OneDrive for Business can name ALL the ways that you can get documents into OneDrive for Business. My aim was to cover all of the methods (except for third party tools) in the above video. 1. Create a new Office document directly in OneDrive for Business using the browser. 2. Upload a single file(s) from the menu bar. 3. Upload folder(s) from the menu bar. 4. Drag and drop directly onto the browser. 5. Open OneDrive for Business using Windows Explorer (requires you to go back to the classic interface). 6. Map a network drive. 7. Save directly from Office desktop applications. 8. Use the OneDrive for Business Sync tool. 9. Third party tool (Spfilezilla springs to mind). Have I left any out? Let me know if I have but hopefully the video covers everything a new user needs to know about getting data into OneDrive for Business.